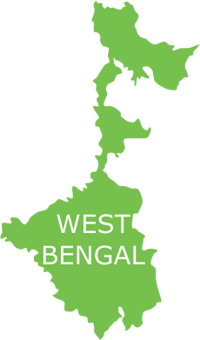 Kolkata, the capital of West Bengal, is the principal commercial, cultural, and educational centre of East India. As a growing metropolitan in a developing country, Kolkata confronts rapid unplanned urbanisation, traffic congestion, poverty, overpopulation, and other logistic and socioeconomic problems; being the third-most populous city in India. According to one estimate, almost a quarter of the population in Kolkata live on less than 27 rupees. Further, there are unauthorised slums which are even devoid of basic municipality services occupied by squatters who have been living along canals, railway lines and on roads. Living conditions in these slums are so appalling that drinking water, drainage, sanitation and electricity are almost non-existent. Under such conditions, the health status of the people inhabiting Kolkata’s slums has been severely deteriorating. The city also has a low fertility rate and a sharp gender population inequality. 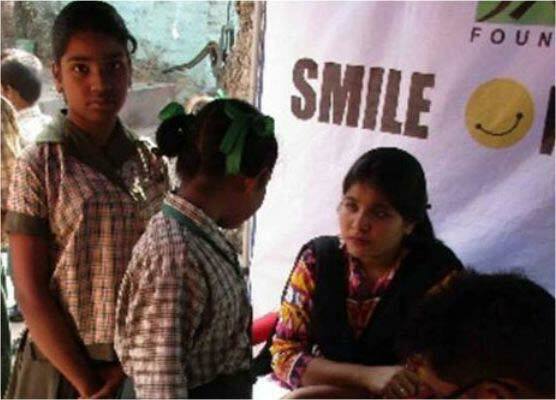 Smile Foundation, aiming to address the problems of the destitute urban population of the city living in unhygienic slum conditions, launched its Smile on Wheels programme in Kolkata on 6th October 2015, with the support of Ericsson India Global Services Pvt. Ltd. The mobile hospital programme is providing services to 20 slum localities including Patharghata, Kashinathpur, MurariPukur Judge Bagan, Bonomalipur, Goabagan, and Sardarpara. With the existing gender inequalities negatively impacting the health of women and children, and most of the women being wage labourers or domestic workers ignorant to their necessary healthcare needs, SoW is paying special focus to maternal health aspects such as antenatal and prenatal check-ups and reproductive care. Apart from regular medical checkups, various pathological tests like Haemoglobin, Dengue, and Malaria etc. are conducted when needed. In addition to this, awareness activities are conducted in small groups for women, adolescents etc., along with individual sessions and family meetings on health, hygiene and family planning. The SoW project team is working efficiently with a good number of volunteers for more effective results. The community people are appreciative of the project and actively participate in all activities. The project covers 15 slums in Kolkata, reaching out to a population of 16,000 annually. More than 42 disease patterns including diabetes, hypothyroidism, dyspepsia, malnutrition etc. have been identified and treated. Pathological tests are conducted regularly ranging from diabetes, haemoglobin and others for accurate diagnosis of the diseases and better treatment of the patients. A referral system is in place to facilitate further specialized treatment for patients at the nearest government and private hospitals. SoW has initiated various engaging awareness programmes including street plays and health talks for better understanding of the community. 1453 PATHOLOGICAL TESTS WERE CONDUCTED SO FAR.